"Feminine and southern." That's how Dallas-based fashion designer Lucy Dang describes her style. The ever-so-stylish women in Dallas love Lucy Dang, and so does the rest of the south. In 2013, she submitted her designs for the Belk Southern Designer Showcase just two days before the deadline and won. Her modern yet sophisticated evening wear collection has landed at Belk. 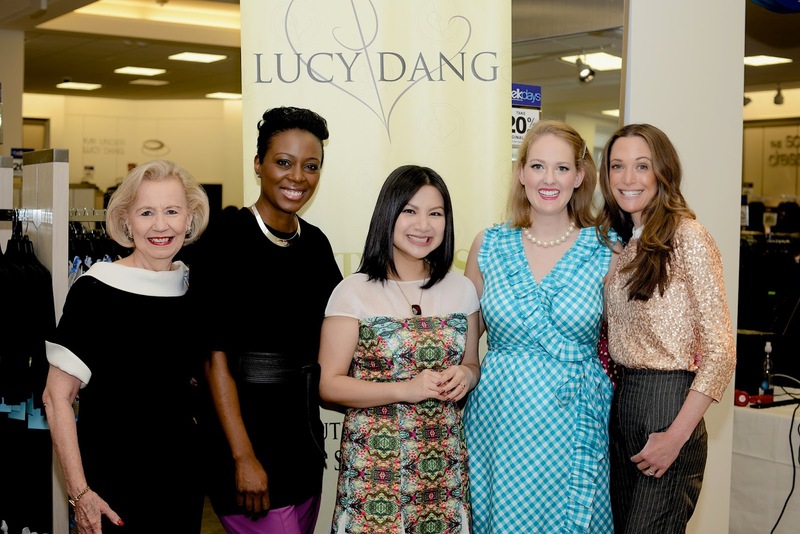 Lucy also won the 2013 Texas Next Top Designer competition. With two big wins, 2013 was an awesome year for Lucy, and I think 2015 will be even better. Last month, Belk shoppers at the Galleria Dallas were the first ones to pre-order dresses the new spring 2015 line, and meet the designer too. Dallas is the perfect place for Lucy to showcase her designs. She described Dallas as "charming, warm and sophisticated," which is exactly what's seen in Lucy's clothes. After designing an elegant, dark collection for fall, Lucy decided to use shades on the other end of the spectrum for her spring collection. Lucy focused on keeping the new collection bright, airy and exotic and was influenced by Peru. Lucy Dang was born to be a designer. Scarlett O'Hara from Gone with the Wind sparked her interest in fashion at a young age. According to Lucy, success in the fashion industry depends on perseverance and passion for fashion. Lucy spent 10 years building fashion industry experience before becoming a fashion designer. Some of the companies she's worked for are Dillard's, Nicole Miller and Rebecca Taylor. My favorite dress from Lucy's collection! Lucy wasn't the only star at Belk that day. Dawn Mellon, everyone's favorite Savvy Stylist, also shared her secrets to making the most of your fall wardrobe. The same dress can look completely different with a few tweaks and a little creativity. I was very impressed with Dawn's picks, as usual! Belk put on another fabulous event, and stay tuned for more fall and winter events coming soon! 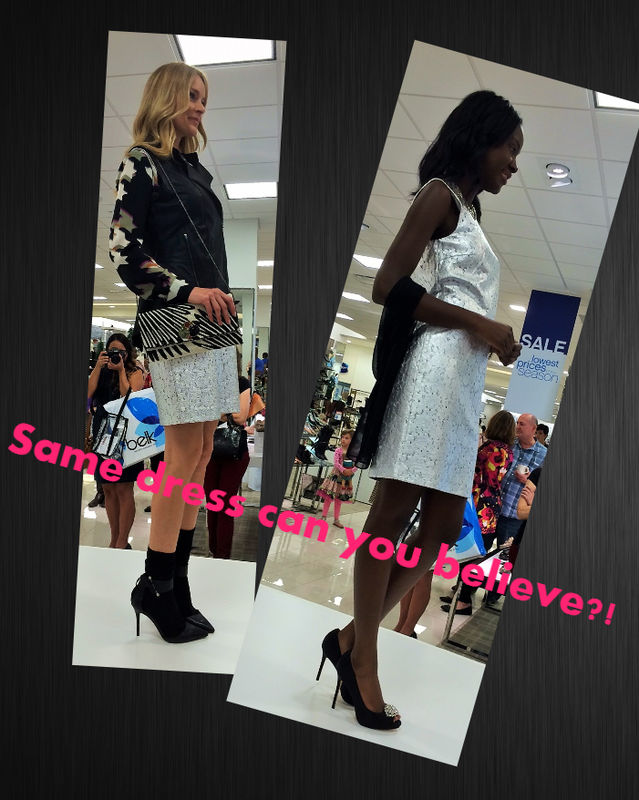 Love this recap of a fun Saturday at BELK with Lucy Dang and her beautiful clothing. Charmaine Marshall always looking fabulous.. Dawn Marie Mellon style a beautiful array of garments.. Loved it..
Charmaine Marshall looks Fab as always.I want that blouse. Lucy Dang I want everything.